Sterling W. Davis passed away, surrounded by family, on Thursday, March 21, 2019 in Cupertino, California of causes incident to cancer. He was 89 years old. Sterling was the sixth of 11 children born to Leonard and Verna Davis. He grew up in a loving, faith-filled home. Early on, he learned the value of dedicated work—helping support his family during hard times and putting himself through college. Sterling earned undergraduate degrees from Weber College and Utah State University and a Master of Electrical Engineering from the University of Southern California. He served in the U.S. Marine Corp during the Korean War. His 37-year career at Lockheed, Ford Aerospace, and Space Systems Loral in the Northern California Bay Area included the development, assembly, testing, and launching of 13 spacecraft. His greatest joys were found in family, church, and service. He married his sweetheart, Juanita, in the Logan Utah LDS Temple. They have six children. As a dedicated member of The Church of Jesus Christ of Latter-day Saints, Sterling served as a Bishop, Stake Presidency Counselor, Patriarch, and Sealer in the Oakland California LDS Temple for 16 years. He and his wife also served in the Australia Melbourne Mission. He left a legacy of Christlike love—succoring others and lifting the burdens of those around him. He was a man of loyalty, obedience, and faith. Sterling took pleasure in family fun, puzzles, trains, Gilbert & Sullivan’s comic operas, poetry, hiking, carpentry, gardening, and exploring. Sterling’s quick wit, gentle kindness, enduring wisdom, and unwavering integrity endeared him to many. Sterling is survived by his wife, six children and their spouses, 23 grandchildren, 11 great grandchildren, and three of his 11 siblings. 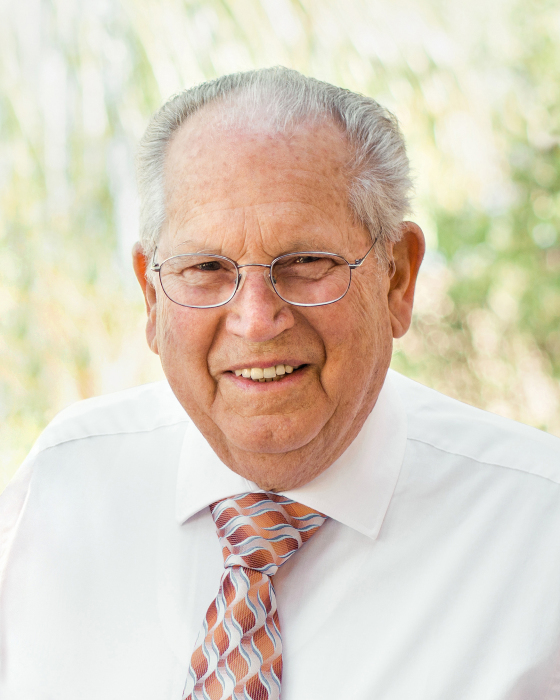 A Memorial Service will be held Saturday, March 30, 2019 at 11:00 a.m. at the LDS Stevens Creek Ward Chapel, 10270 South Stelling Road, Cupertino, California. A Funeral Service will be held Saturday, April 13, 2019 at 2:00 p.m. at the LDS Pleasant Valley 7th Ward Chapel, 5735 South Crestwood Drive (near intersection of 1475 East and US-89) Ogden, Utah. A Visitation will be held prior to the Service from 12:00 to 1:30 p.m.
Interment at Leavitt’s Aultorest Memorial Park, 836 36th Street, Ogden, Utah. Condolences can be shared through www.leavittsmortuary.com. In lieu of flowers, the family suggests contributions be made In Memoriam to LDS Humanitarian Services at give.lds.org/humanitarian.